"... reactive, novel and fresh-sounding readings." "Debretzeni sets out to highlight the descriptive aspect of the music by finding many more colours and contrasts in the orchestral texture than are usually heard, and the period instruments give the familiar movements a new attack, making the work sound as fresh today as the day it was written." 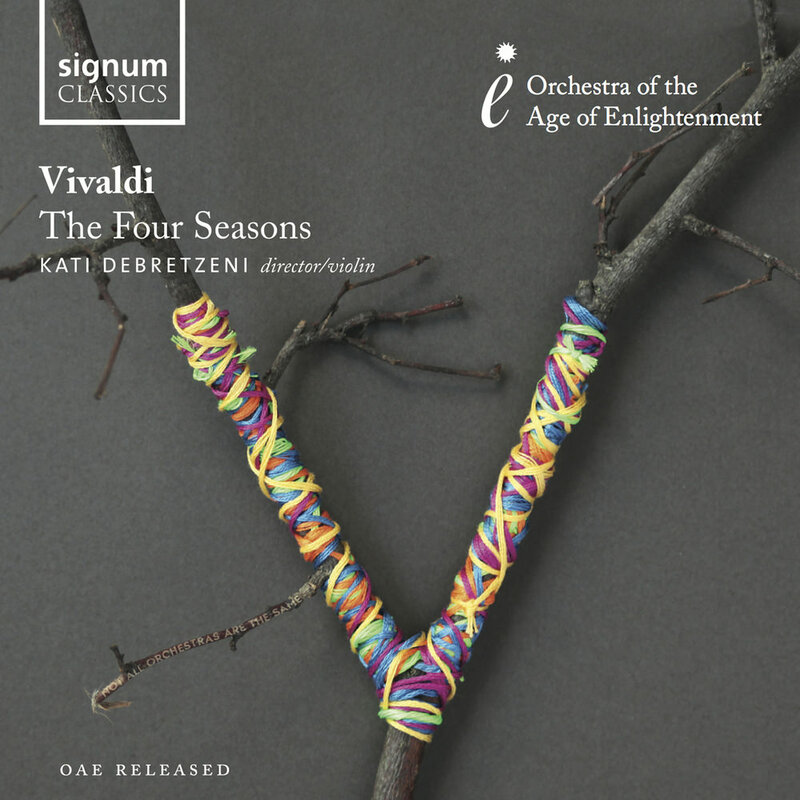 With its vivid poetry and technical ingenuity, Vivaldi’s The Four Seasons was groundbreaking at the time of its release and to this day remains as influential and transfixing as ever, one of the most famous and most-recorded classical pieces of all time. On this 2014 album, violinist Kati Debretzeni directs period instrument ensemble the Orchestra of the Age of Enlightenment in an energetic, historically informed performance. From the commanding heat of the summer sun, to winter’s foreboding darkness, the power of Vivaldi’s masterpiece as interpreted by the OAE is inescapable. Recorded at St. Jude's-on-the-Hill Hampstead Garden Suburb, London, 9 & 10 February, 2013.